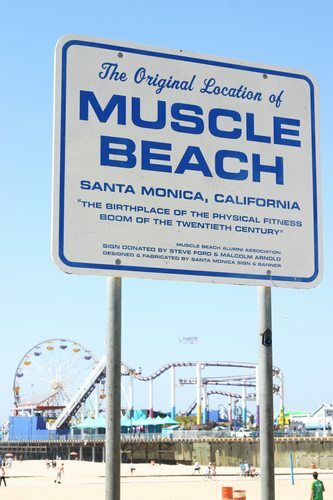 Years ago a friend took me to Venice Beach to watch, in her words, “the curious freak show of men and women power lifting and flexing by the Pacific.” It was a strange scene and made me wonder, “Why are they doing this and who are they doing it for?” Years later, the bulking and flexing process is playing out in a very different place: the Legal Department of energy giant, Royal Dutch Shell (“Shell”). Only this time, the reason for the display is obvious: Shell is an enormous consumer of legal services and has a great deal to gain from delivering and procuring them efficiently. It has simultaneously bulked up and streamlined its in-house legal department while also flexing its buying power by demanding greater value from outside counsel and circumscribing their use. Shell’s impressive show of strength and flexibility has yielded eye-catching results. Let’s take a closer look at what Shell’s OGC has done and why it may well portend where things are headed in the legal marketplace. Shell is a huge company, #2 behind only Walmart in the Global 500. So it should come as little surprise that Shell’s in-house legal department is large, numbering 650 attorneys and an additional 350 paralegals and staff. But what is noteworthy about this in-house behemoth is not so much its size but, rather, its recent reconfiguration borne of strategic decisions that reflect a remarkably forward-thinking focus and execution. Shell has–to extend the body-building metaphor–bulked up and trimmed fat internally while demonstrating flexibility, enabling it to insist that its outside firms “get fit” lest they lose Shell as a workout partner going forward. So what steps has Shell taken in its procurement (internal as well as external) and deployment of legal services and what are the implications? Let’s start by noting that a decade ago Shell’s OGC operated in a decentralized manner (not unlike other multinationals); country chairs reported to the business units in piecemeal fashion and had their own budgets. This “tents in the bazaar” structure bears many similarities to contemporary Swiss verein law firms whose brand is often one of its few shared elements. Shell made the strategic decision to centralize its legal department, to grow it according to business unit needs rather than geographic ones, and to streamline and standardize operations, thereby taking important steps which have led to the creation of an integrated, collaborative, and highly efficient global in-house legal team. In so doing, Shell’s in-house firm has become a model that is setting a high bar for its (pared down) outside firms, demanding more from them for less. Specifically, here are some key highlights of Shell’s recent initiatives: (1) 2009: consolidated work to reduce the number of outside firms. Result: eliminated redundancy, reduced outside spend, and established the groundwork for more competitive pricing and deeper understanding of Shell’s business from the surviving outside firms; (2) 2011-2012: worked with its internal global contracts and procurement (“C&P”) team to standardize contract management processes (Shell spends $65B on 30,000 purchasing contracts a year). The result: millions saved and in-house resources previously dedicated to contract negotiation reduced or redeployed to other higher-value work; (3) 2012: created an in-house global litigation team of 80 lawyers in 15 countries. Result: substantial reduction of outside litigation fees (historically, a high-spend area) as well as reduced litigation portfolio (prophylactic counseling); (4) 2014: “Alternative Fee Arrangements” (“AFA’s”) became the standard fee arrangement for Shell outside firms handling aggregated legacy asbestos and environmental product liability cases. Result: $9M saved as well as reduced cost of internal monitoring; (5) 2014: Donny Ching appointed Shell’s Legal Director. Mr Ching had spent his entire professional career in-house at Shell, but has certainly not been bashful about effecting additional changes in the way Shell conducts its legal operations. Ching has already: (i) instituted an in-house support group to conduct research, handle training, and knowledge management for the in-house team; (ii) proclaimed that “AFA’s are standard, not alternative arrangements with outside counsel” (at least for Shell), dubbing them “Appropriate Fee Arrangements”; (iii) oversaw Shell’s 2014 divestment of over $5B of US assets and spent less than $100,000 on outside counsel; (iv) proposed more aggressive AFA arrangements with outside counsel (making clear that firms who do not get with the program will count Shell as a former client); (v) his internal team project-managed the legal side of Shell’s bid for BG, another energy giant (serving notice that Shell’s in-house legal team handles not just more of the company’s “routine” legal work but is also front and center in “bet the company” M&A and litigation work). Should it come as a surprise that Mr. Ching’s penultimate position at Shell was GC of Projects and Technology? Clearly, the man knows about process, efficiency, and how technology can be utilized to drive it in the delivery of legal services. What Does This Mean and Portend?